In-office seminars for patients and media events take a fair amount of planning and some investment of resources, but they can be extremely beneficial when done right. Time to maximize the opportunity and get the word out. Send ‘save the date’ notices early to VIPs. Use email marketing to invite current patients, and perhaps printed invitations at the front desk to give to patients at checkout. 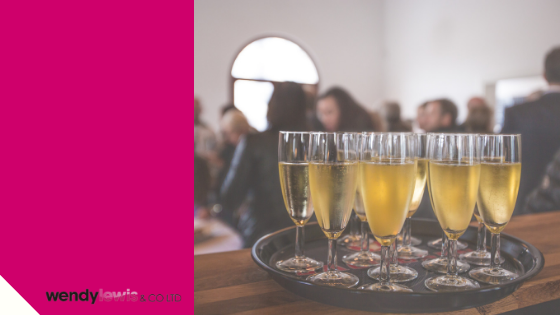 The more targeted your guest list, the better your attendance and results. Invite only those guests who are truly interested in the procedures, techniques, or theme you are showcasing. For example, non-surgical body shaping, mommy makeover, facial injectables, etc. If the event is about non-invasive mommy makeovers, invite only the moms in your database. By contrast, if the focus is ‘prejuvenation,’ invite your millennial patients, not baby boomers. Never schedule an event on a Monday morning, Friday afternoon or a weekend, as these are inconvenient for most patients and conflict with work and family commitments. The best days are midweek (Tues, Wed, Thurs) and the best times will depend largely on your target audience. Breakfast is great for soccer moms, housewives and retirees while lunch and learns (12-130 pm) works best for locals if you are near a business district and tea time (3-5 pm) resonates with media guests. Evening receptions (5-8 or 6-9 pm) are most popular for all audiences. What do you really want to achieve? Number of Guests? New Patients? Sales of Products? Treatments scheduled? Media coverage? Some or all is possible if you plan correctly and design offers to meet your goals. Such offers may include 20% off on everything purchased/paid for at the event or special treatment bundles given only at the event for attendees, thus making it exclusive. Assign roles and budgets for all duties including; invitations, food and drink, décor and swag bags, among other items. Ask vendors for support and assistance as they can be very helpful. Have enough staff on hand to do private consultations, answer questions and give tours for interested patients to learn more about what you do. Love them or hate them, hashtags are a great way to track the success of your event or promotion across all social media channels. The catchier, the better. And don’t forget to enjoy it and have fun. Your patients and media want to get to know you and your practice better and these social events can make it easy to break the ice and connect on a deeper level with your target audience.